In the package you will get everything you need to get funding, start and grow your business. It’s not easy to build a successful business, you need the right advice and tools to make it happen. That’s why we created the Business Development Toolkit. It contains industry standard business building tools, business advice and professional templates to help you do it for yourself. Whatever stage you are in your business development the Business Development Toolkit can help you reach your goals. All of the contents of the toolkit have been tried and tested with successful businesses. The same business plan template and starting point we use with our clients. 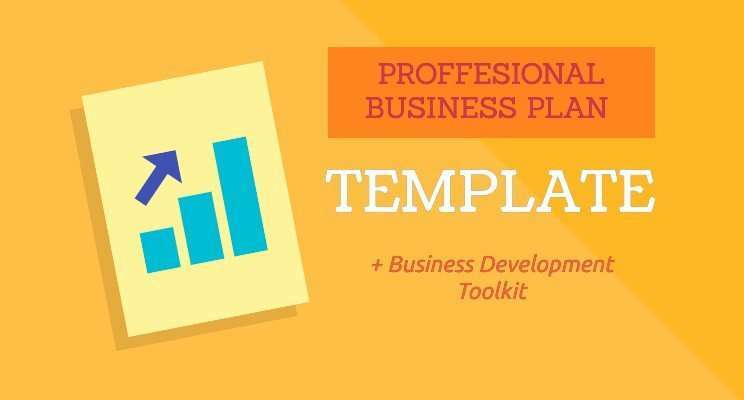 This template has helped us create hundreds of business plans and has raised millions in funding. The financial projections spreadsheet we use for our clients. It contains a Full 5 Year P&L, Cashflow and Balance sheet. Everything an investor or loan company needs. The same template we use to create investor pitch decks for our clients. We have compiled a list of all the tools you need to start your business and grow it. It's a live file, so it's updated regularly. Business Model Canvas is a strategic management and lean startup template for developing new or documenting existing business models. Its also known as a one-page business plan. It is an excellent way of evaluating your business idea. Everything you need to create a business plan is in the Business Development Toolkit. Download the files and use the guidance below to write your business plan. It’s best to write this last after you’ve prepared the rest of your plan because this is simply a summary of the whole plan. It should ideally be one page, but two pages are equally acceptable. We tend to use a MOST analysis structure to this section. You can also add in other critical aspects of your business, for instance, your business philosophy, the industry you’re in and legal ownership and key employees. Describe your products and services, benefits for your customers, pricing and margins. You need to explain how big your market size is and demonstrate whether it is growing, declining or evolving. Explain your marketing activities including market research, market trends and size, external market economics, barriers to entry. Provide detailed information about your competitors and why your target market will choose your company instead of them. Information about your promotional activities to reach out and entice your potential customers to purchase your products and services. How you’re going to produce your products and any distribution issues to get products to your customers and your key suppliers. Include the key people and advisors. Your financial plans should contain enough detail (i.e., monthly) for the first year then quarterly or yearly for the following two years. Include a profit and loss account, a cash flow forecast and Balance Sheet and even a break-even analysis. Detail the costs you’ll incur to start or grow the business.